July 6, 2012 1 comment on "6 Quick Tips for Cleaning Tile Floors"
Tip #1: When cleaning tile floors, try spritzing with vinegar and then sprinkling baking soda on a sponge and scrubbing. Tip #2: I found the best cleaning and spot free drying on my tile floor is 1-part lemon ammonia to three parts water and three drops of any liquid dish soap. This cleans, disinfects, and dries a shiny clean like nothing else I’ve tried. I put mine in a spray bottle and spray as I need it. Tip #3: I use a small amount of Fabuloso (found at Dollar Stores & CVS Pharmacy, Wal-Mart) to clean my tile floors. Vinegar works very well also. Just don’t use too much water in mopping. More like damp mopping. Tip #4: I use Pine Sol on my tile floors. Tip #5: I was told to use vinegar. I have tile everywhere in my house except the bedrooms. I save all of my old toothbrushes and when my kids are misbehaving I give them a toothbrush and a spray bottle of vinegar and they get to the clean the grout for a certain amount of time. You would be surprised at how well straight vinegar cleans the dirt in grout. Tip #6: Thanks, everyone for all of the help! I began using a 50:50 vinegar water mixture with a tiny drop of detergent (Dreft is what I used). I pour all of this in one side of my sink, and then when I’m mopping, I use the other side of the sink to rinse out the mop with clean water as I go and dip the mop in the vinegar mixture after rinsing it out. It seemed to work, the floors weren’t sticky the last time I did this. Thanks again for all of the replies! 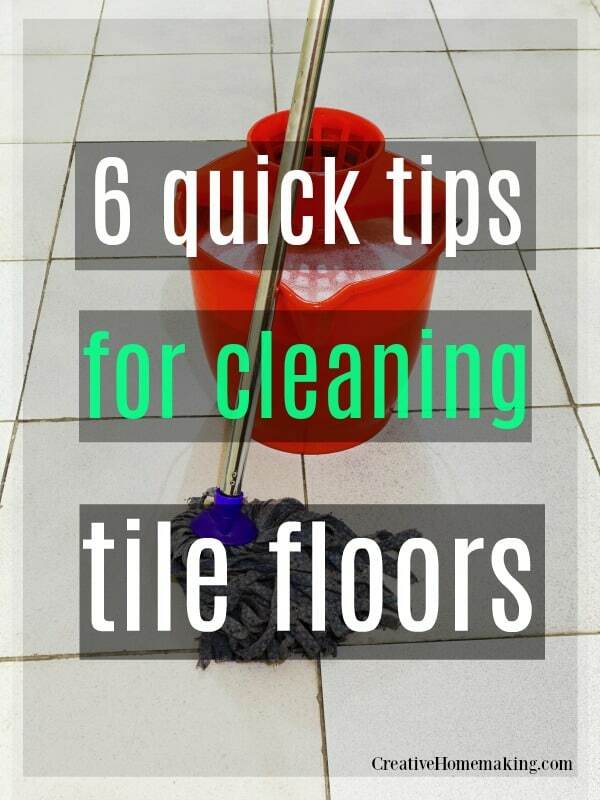 1 Comment on "6 Quick Tips for Cleaning Tile Floors"
Very valuable info. Thank you for sharing this blog. 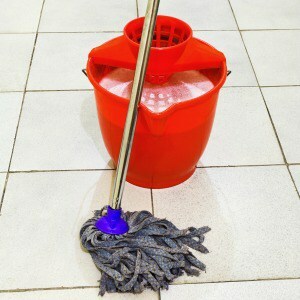 Clean up loose debris: Sweep or vacuum your tile floors regularly to keep them from getting dull. Ceramic tiles may be resistant to dirt, but sand and grit can dull the glazed surfaces. 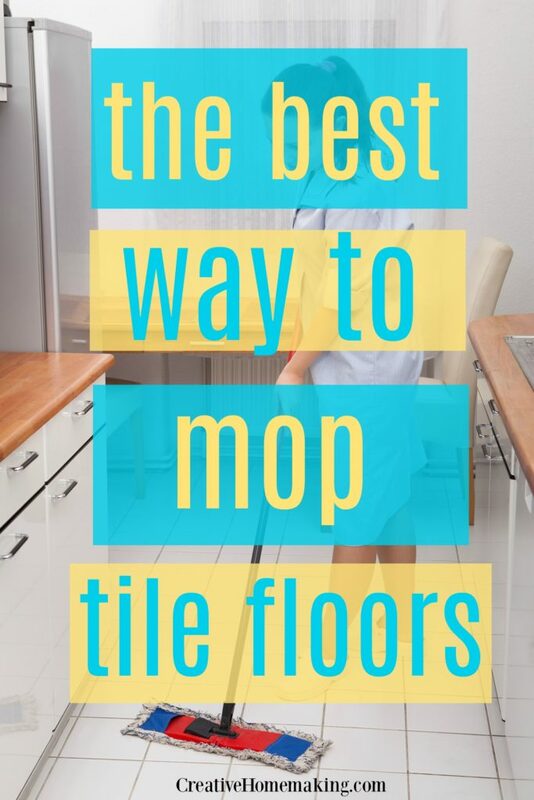 Choose the right floor mop: Clean tile with mild detergent and clean water using a rag or chamois-type mop rather than a sponge mop.